Shou Time's ATARI 2600/2800/VCS Collection - Collected It! ATARI's first console that both energized and killed the industry with the infamous crash of 1983. 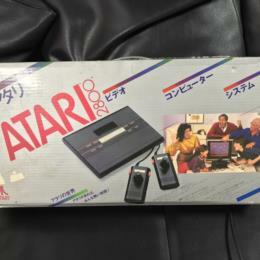 They went on to redesign the console and sold it in Japan as the ATARi 2800 which had Japanese packaging but the carts themselves are just the US carts. The console could never stand toe to toe with the Famicom and an extremely minor blip in Japan.